The Slim line Start Button was inspired by the elegant look of the popular Lexus® start button and the desire to create a start button that could be easily installed into any vehicle, even over the existing ignition key cylinder. The Slim Line Start Button is only 1/4″ thick. This revolutionary design allows the Slim line button to be mounted virtually anywhere with ease. No more need to cut a large hole in your dash or be concerned with how much clearance is behind the dash. 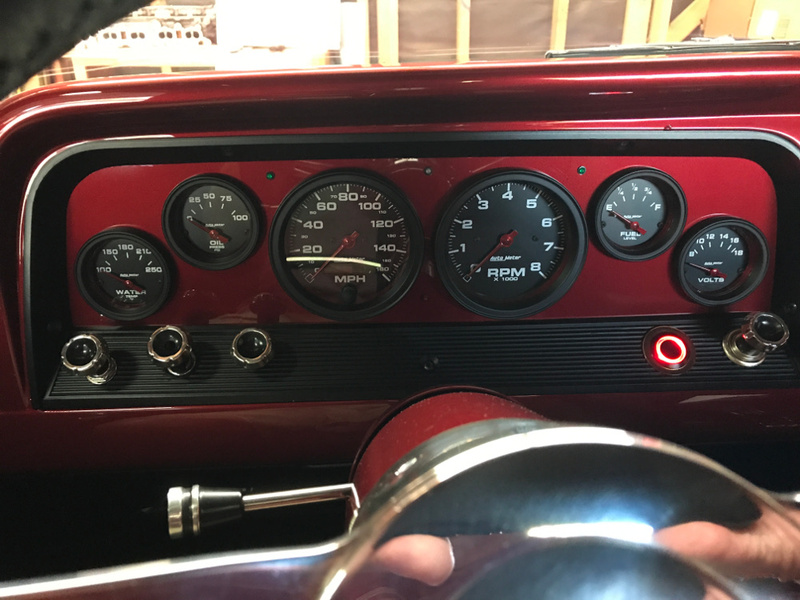 The kit comes with a “Mounting Platform” and “Finish Trim Ring” that will even allow you to mount the Slim Line Start Button directly over an existing ignition switch for a beautiful factory finished look to every install. Slim Line Start Buttons are available with Red, Blue or Green Backlighting. They are prewired onto a 36″ harness with matching system connector for plug & play installation. (No additional wiring is required). 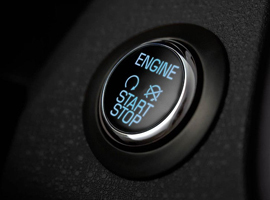 This beautiful start button from Lexus® has become the standard of the industry. Offering back lit elegance and a 3 color LED (Yellow, Red, and Amber) to indicate system status. 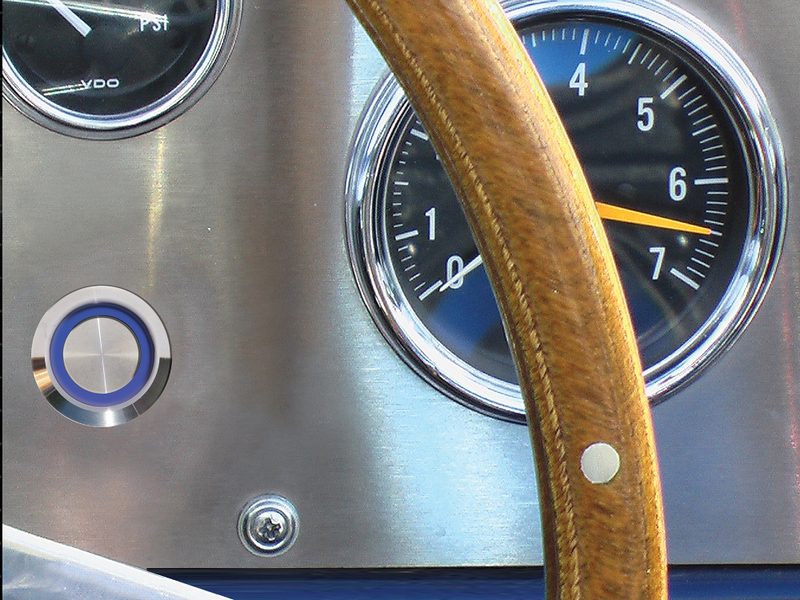 This stylish button will give a finished factory look to any vehicle. Button can be used with or without the black trim ring. 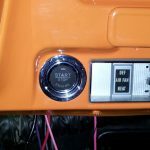 Modified OEM factory push start buttons are individually modified to work specifically with Digital Guard Dawg systems. Start Buttons are prewired and included a 36″ harness with matching system connector for plug & play installation. (No additional wiring is required). 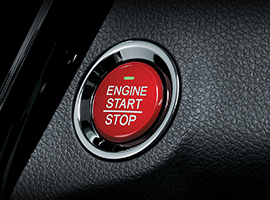 This gorgeous new Red Start Button from Honda® is dripping with style. Features a crystal button lens with Red back illumination of ENGINE START / STOP text on the face. Our techs have converted it to work with all iKEY systems. One of the best OEM Buttons Value available today. This gorgeous new White Start Button from Honda® features a sharp looking crystal white lens and clean White illumination of ENGINE START / STOP text on the face. Our techs have converted it to work with all iKEY systems. One of the best OEM Buttons Value available today. This stylish Start Button from Nissan® has individual LED’s for indicating ACC and IGN ON modes. It also features attractive soft glow backlighting of the entire button face when on. 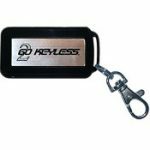 Our techs have converted it to work with all 2GO KEYLESS™ modules. Nissan® RED Start Button has individual LED’s for indicating ACC and IGN ON modes. It also features attractive soft glow backlighting of the entire button face when on. Our techs have converted it to work with all 2GO KEYLESS™ modules. This beautiful Nissan® Start Button features attractive soft glow backlighting and a three-color LED that indicates system status. We have converted it to work with all 2GO KEYLESS™ modules. We have taken the popular Start Switch from Toyota® Prius and converted it to operate the 2GO KEYLESS module. Looking for a Start Button that will put the POWER at the touch of your finger? This attractive classic is the perfect choice. 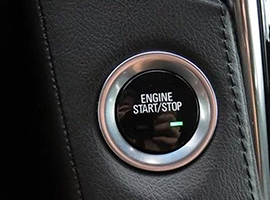 This beautiful Start Button from Ford® features back illumination and lighting of ENGINE START / STOP text on the face. Converted it to work with all 2GO KEYLESS™ modules it’s a great looking button with a small face, making it easy to mount in vehicles with limited dash space. 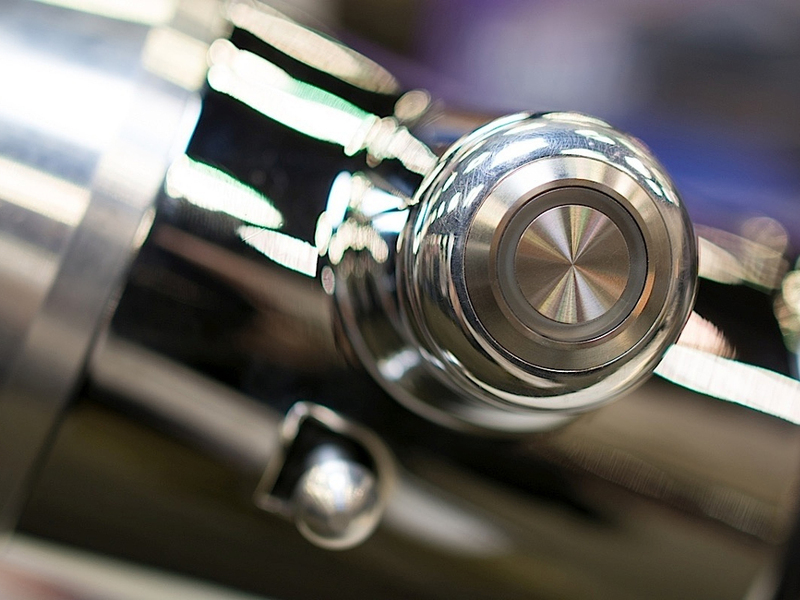 Even James Bond would be envious of having this beautifully laser etched solid crystal Aston Martin® start button. Dual color (Red / White) LED back lighting indicates system status. 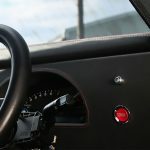 This great looking C7 Corvette® Start Button features a black face with chrome surround It’s unique rectangular shape adds a distinctive look to any vehicle. Button features attractive soft glow backlighting when on with flashing LED indicating system status. Our techs have converted it to work with all iKEY systems. This great looking C7 Corvette® Start Button features a Silver face with Black surround It’s unique rectangular shape adds a distinctive look to any vehicle. Button features attractive soft glow backlighting when on with flashing LED indicating system status. Our techs have converted it to work with all iKEY systems. The Cadillac Escalade® Start Button is one of the most stylish buttons available today. Featuring dual LED’s which give individual system status indication and soft glow backlighting; this button looks great on any dash. Our techs have converted it to work with all iKEY systems. 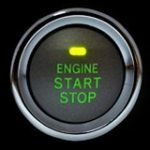 This sizzling new Start Button from Honda® features a translucent red lens and clean White illumination of ENGINE START / STOP text on the face and an individual Status LED. A beautiful addition to any dash. Modified by our techs to work with all iKEY systems. Looking for something different? This unique Black faced Start Button from Nissan® will do the trick. Featuring a soft back lighted center lens, this beautiful button adds a distinctive look to any vehicle. Modified by our techs to work with all iKEY systems. This sophisticated new Button from Nissan® Features a matte bronze finished outer ring with soft backlit lens and separate system status LED. Our techs have converted it to work with all iKEY systems. One of the best OEM Buttons Value available today. 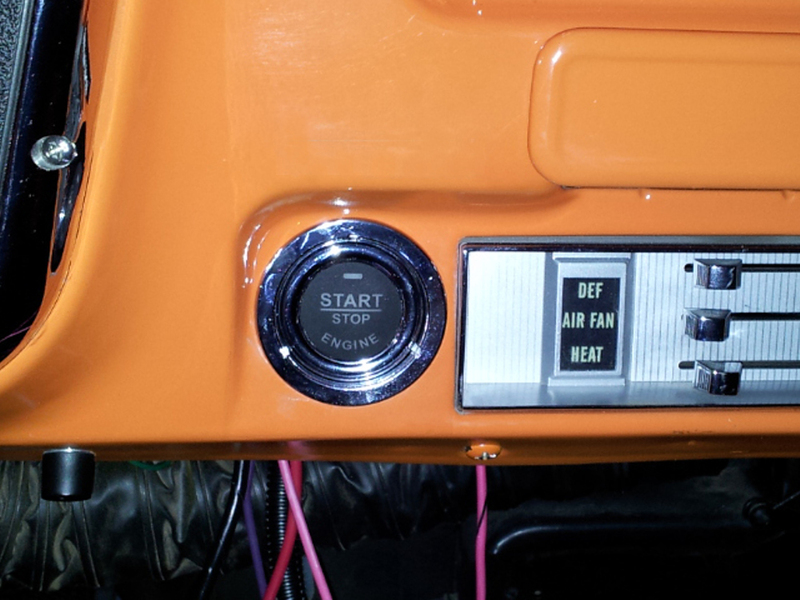 This beautiful Start Button from Ford® features back illumination and lighting of ENGINE START / STOP text on face. Converted it to work with all 2GO KEYLESS™ modules it’s a great looking button with a small face, making it easy to mount in vehicles with limited dash space. FITMENT: Pre 1998 vehicles not needing any remote accessory control. The PBS-I is a professional grade RFID push button start system lets you start your vehicle with just the touch of a button! Using advanced RFID technology (Radio Frequency Identification) just like that found on world’s finest luxury vehicles, the PBS-I completely eliminates your vehicles ignition key switch and provides proximity controlled automatic operation of your entire Ignition. Simply carry one of the systems digital RFID “iTags” with you. As you come into proximity of your vehicle, the PBS-I verifies your identity, authorizes your ignition and with just the “Push of a Button” your engine roars to life! When you arrive at your destination, another push turns your engine off and you just walk away. The PBS-I is designed for vehicles where NO need for extra output channels for power locks, windows or truck release are required. 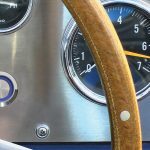 The PBS-I fully emulates all the functions of a traditional keyed ignition switch, allowing the user to select either ACC only / ACC + IGN /or START modes all from a single button. 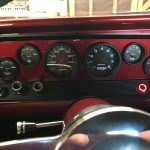 The PBS-I easily installs on any Classics and Hotrods. 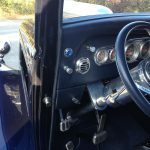 Heavy duty power connectors with 12 GA bus insulated wiring correctly matches existing high current ignition switch wiring found on many classic vehicles. 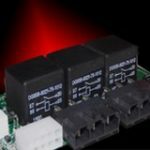 Additionally, the PBS-I boasts onboard 60A high current relays on a 4oz copper chassis, eliminating all unsightly and failure prone external relay wiring. No one else in the world builds anything even close! Emergency Bypass Card assures starting even if you lose your RFID Transmitter. The RFID iTag represents a true innovation in vehicle security & convenience. It will only authorize your Ignition when you are within close range of your vehicle. Each iTag is completely unique with over 6 billion different codes. iTags have “dual mode operation” witch allows you to select between Automatic or Manual modes with complete control of how and when your system arms and disarms. iTags are powered by an easily replaceable lithium battery that lasts over a year. An unlimited number of iTags can be programmed into each system and a single iTag can be programmed to work every vehicle you own! 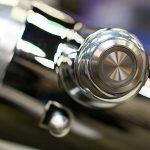 PBS Systems come standard with our 22mm Billet style Start Button, It is a top quality / heavy duty cycle switch with an attractive “soft brushed” finish. An Illuminated halo LED ring indicates system status. Switches are pre-wired to a 36″ plug in harness. Available in 3 LED colors; RED, BLUE or GREEN. The system control module has 60A high current relays which are right on board, eliminating all unsightly and failure prone external relay wiring. Individually controlled circuits for Starter, Ignition and two separate Accessory circuits allows the system to install into any vehicle. One ACC circuit switches OFF during starter crank (to minimize current draw from components like A/C) and another that stays ON (for components such as computers. Customize your Ultimate Keyless installation even more with one of our optional Start Buttons choices. 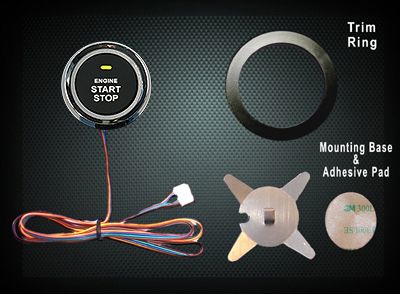 We start with of the most beautiful OEM buttons available and individually modify them to work with our 2GO Keyless™ systems. Should you ever lose or damaged your iTag™ the system includes a Emergency Backup PIN# Card that will allow you to start your vehicle in a emergency. A 2GO KEYLESS™ exclusive feature! 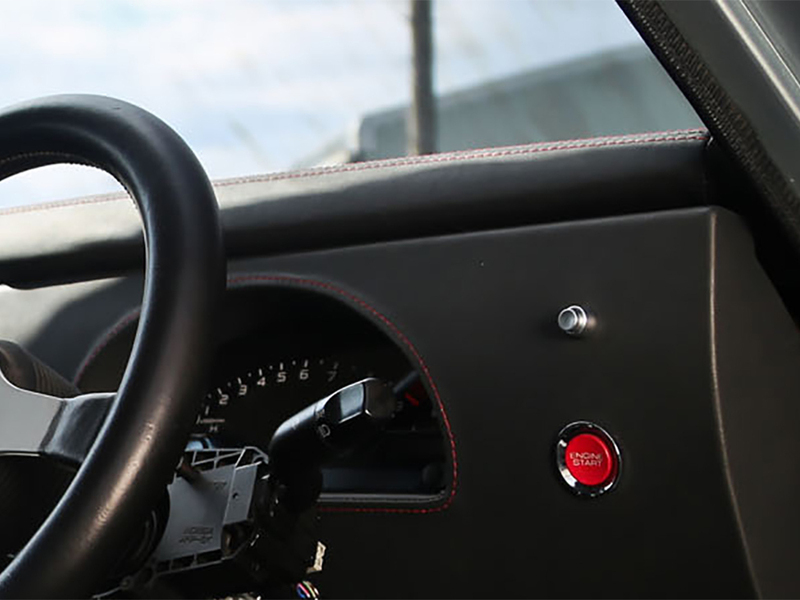 Installation is relatively easy and requires only reconnecting the existing Ignition Switch wires to the PBS module. How many tags can a system learn? The system can learn up an unlimited number Dawg Tags. You can also program a single Dawg Tag into multiple systems so that you can operate an UNLIMITED number of vehicles carrying just one Dawg Tag. Just walk up to any car you own, hope in and go! Can the PBS operate my door locks? The PBS-I “Push Button Start” system does not control your door locks. It exclusively operates the function of your ignition. The PBS II “Push Button Start” system will control your door locks as well as up to three additional accessories such as Trunk release, window roll up, etc. How many DT come with a system? Each Digital Guard Dawg System comes with (1) Dawg Tag included. You can purchase extra Dawg Tags and program up to (4) per system. Extra Dawg Tags are $69.00 and can be added any time. How would I start my car if I lose the iTag or its battery goes dead? Both the PBS I and PBS II systems comes with a “Owner Card” that has a unique 4 digit PIN number on it and a “Programming Switch” that plugs into the control module. If you were to completely lose your Dawg Tag you could use the programming switch to enter your PIN number into the system and start your vehicle. Are all Dawg Tags a different code or frequency? Each Tag has its own unique digital code, (one in over 6 billion codes) just like the different serial numbers on a dollar bill. The systems “learn” the tags serial number. Can the PBS use a different button then the one you supply? The PBS can be adapted to work with any momentary switch. Can it arm and disarm another alarm system? The PBS I system will work fine with any other alarm system, but it works independently and does not control the other system. The PBS II can control other systems simply by using one of the additional output channels as a control channel. If I change the car battery does the system need to be reprogrammed? No, all our systems have a non-volatile memory and will not lose code when disconnected from power. Can i still start my car using my keys? There are several ways of wiring the system into your vehicle, if you leave your current Ignition switch connected, you can always start your vehicle in the traditional way using your key. Everybody wants to see it work. It so tight. No alarm anywhere compares to the Dawg! Awesome upgrade! I’m now totally keyless! I just walk up and get in, Push the start button and Go! It’s even cooler then I imagined it would be. What else can I say, I love it! 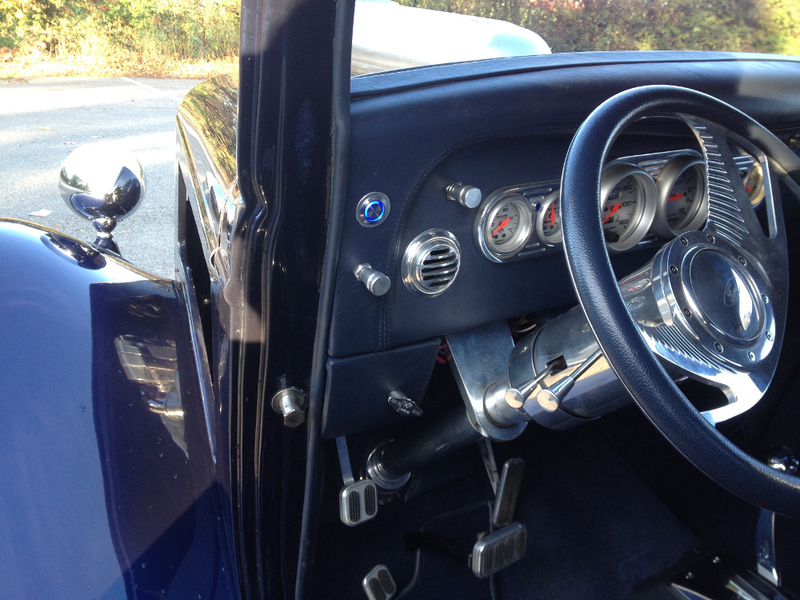 I am extremely happy with the Guard Dawg Keyless ignition system. I contacted the company with a few questions before I bought. The representative was extremely knowledgeable and helpful. I would highly recommend the Guard Dawg to Anyone! The Guard Dawg is the best option I’ve ever added to my truck. It was easy to install, works just like promised. Looks and operates beautiful. I’m extremely happy. I was excited when I first read about the Digital Guard Dawg but it has exceeded all my expectations. It works like a dream, my car knows it me when I walk up, the LED button is beautiful (especially at night). Not messing with buttons or keys is awesome. You have a real winner guys!